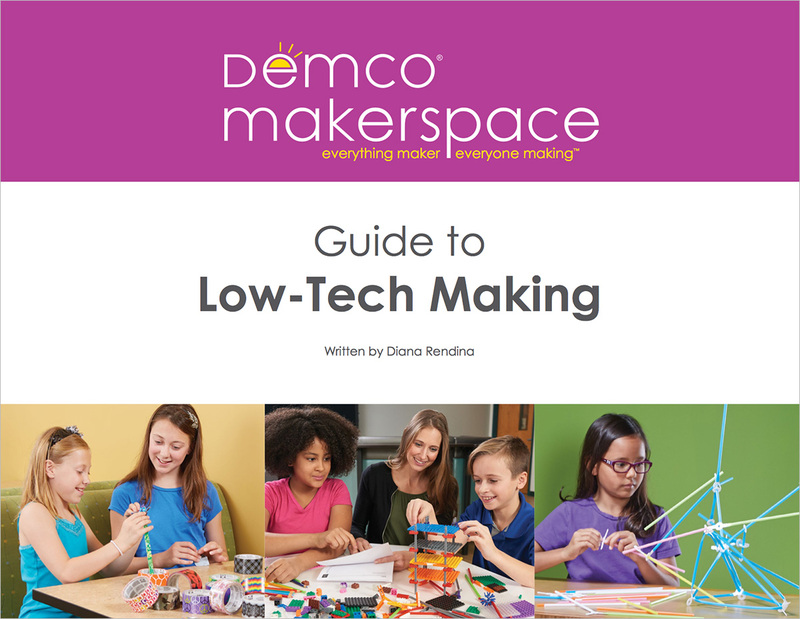 Have you been wanting to add STEAM programming to your library’s list of events but think it might be too expensive or too difficult to plan? Think again! In this article from the upcoming issue of LibrarySparks magazine, Terry Ehle shares the inspiration you need to get started. An Easy & Inexpensive STEAM Program? STEAM programming is a trap. That’s right, a trap. In order for kids to enjoy science we need to make it exciting and blow things up, right? We need to write huge grants to buy technology we don’t know how to use! Don’t we need a million Legos to do engineering programs? Where are all the easels? Is anyone good at math? 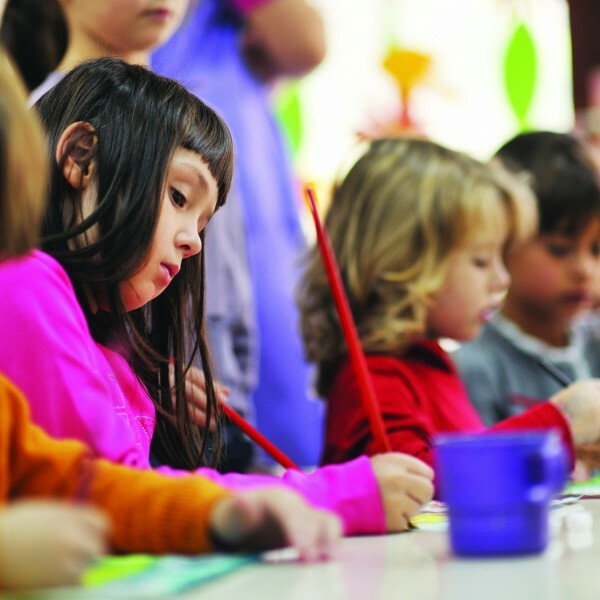 The real trap is thinking that we need all the bells and whistles to do programming that engages children and encourages them to explore, experiment and think for themselves. The truth is that we can do amazing programs without special equipment or expertise — and we can do it for under $50 a program. 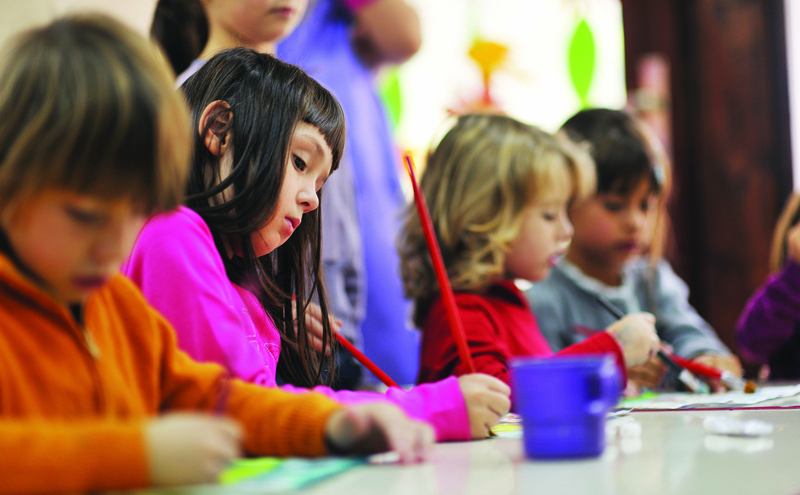 In the fall of 2014, the Lester Public Library began a series of STEAM programs for families. We advertised the series as programs emphasizing collaboration, cooperation and communication (the “Critical Cs”) through project-based learning, across all areas, with a variety of fun and educational activities for the whole family. While the activities were geared for school-age children (K–5), we really wanted families to come to the programs together. As a result, our audience was a mix of all ages, from toddlers through high schoolers and adults. We averaged about thirty participants per program. Two staff members were present at each program, but the programs would have been successful with a single staff member and a volunteer. Each program lasted 1.5 hours. Many of our STEAM programs required families to move from station to station, completing a variety of activities. We like to give families a choice of what they can do and how long they want to spend on any one activity. Our staff felt it was important to promote literacy skills along with the STEAM activities. We shared a book at the beginning of each program and created a display of related books and materials for families to check out. One thing you may notice is that the science behind each activity is not included. We are librarians, not scientists. It is okay not to know why or how something works. It is okay to let children explore without answers. Our job is to trigger their curiosity. The following are some of the programs we offered. The Night Shift explored the world of nocturnal animals. 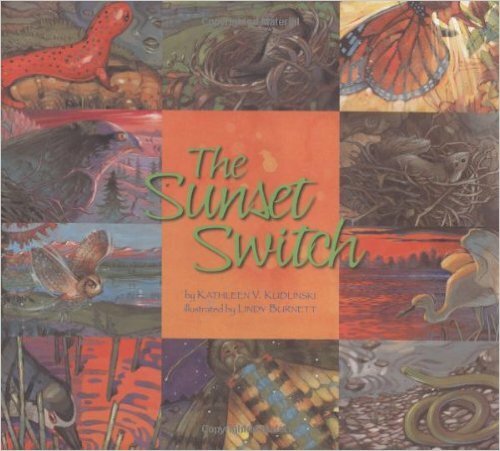 The program began with the book The Sunset Switch by Kathleen V. Kudlinski and the song “Lying in My Sleeping Bag” by Shari Sloane. Once the book and song had been shared, brief instructions were given about what to expect at each station. We also discussed with parents the importance of exploring together with their child but allowing their child to lead them through the activities. A special guest from the local nature center brought pictures from the center’s trail cameras showing different animals on the trail at night. Our guest also talked about the trail cam technology, which uses sensors to capture the images. Participants dissected owl pellets using tweezers and sticks from our craft closet. The bulk of the owl pellets were donated by the nature center, and additional pellets were purchased from Owl Brand Discovery Kits. This was a simple craft project using baby food jars, glow-in-the-dark paint and glitter. Using a cotton swab dipped in the glow-in-the-dark paint, make tiny dots on the inside of the jar. Place a small amount of glitter in the jar, cover, and shake. Dump out any excess glitter and enjoy in a dark room. Using old film canisters, create matching pairs of noisemakers. For example, place unpopped popcorn in two, rice in two, paperclips in two, a penny each in two and so forth. Hand one canister to each participant. In the dark or outside, have participants shake their canisters and attempt to find their partner based on the sound their canister makes. The program concluded with a special guest from a local wildlife rescue organization who brought a live owl to share with the families. The Three Little Pigs was an engineering program in which families worked together to build a house that could withstand the mighty force of the Big Bad Wolf. Before we began, we filled ten paper lunch bags, each with a different building material: Legos, craft sticks, sugar cubes, pipe cleaners, plastic cups, sticks from outside, gumdrops and toothpicks, toilet paper tubes, playing cards and paper strips measuring six by two inches. We also printed a picture of each building material (you’ll need two sets of the pictures). 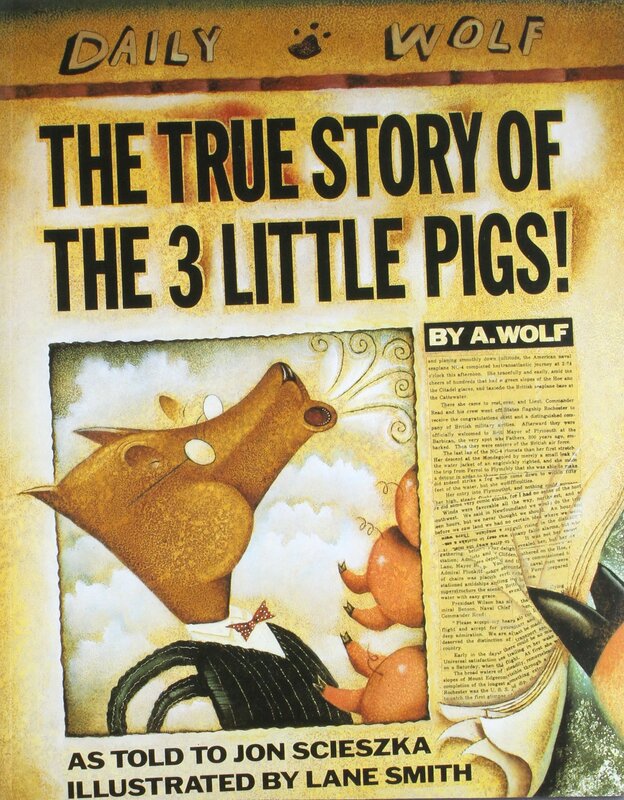 The program began with the book The True Story of the 3 Little Pigs! by Jon Scieszka, illustrated by Lane Smith. Then, as a large group, we predicted which building material would work best to build a house that the Big Bad Wolf could not blow down. We taped the pictures of the materials on the wall in order of our predictions, from weakest to strongest. Once our predictions were in place, each family was given one of the paper bags and had twenty minutes to build a house using only the materials in the bag. Once they were built, the Big Bad Wolf (a hair dryer on which we glued eyes, ears, and a nose) came around and blew them down. We then compared how well the materials did in comparison to our predictions by taping the second set of pictures to the wall in order of their actual performance. Finally, each family was given the exact same set of building materials: ten pipe cleaners, a twelve-by-ten-inch piece of tinfoil, and a three-inch piece of masking tape. Families were given twenty minutes to build a house before the Big Bad Wolf came around again. Color Explosion focused on science involving color. This program is a good example of multiple complex stations with only two staff members. For each station, instructions were printed and placed on the table next to the materials. Staff floated among stations and assisted when necessary. After reading the book I Ain’t Gonna Paint No More! 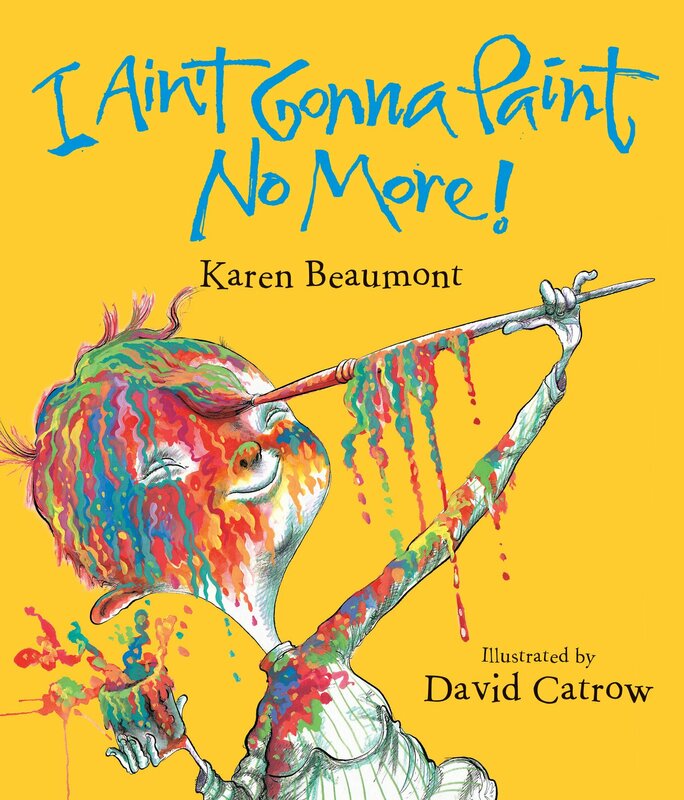 by Karen Beaumont, illustrated by David Catrow, families moved around the stations at their own pace. Take a flashlight and cover the light with two pieces of masking tape, leaving a small slit in the middle to concentrate the light. Shine the flashlight through a glass of water onto a white piece of paper. Play with the angle of light shining through the glass until you see a rainbow. Take a cookie sheet and sprinkle it with different flavors of dry Jello, creating a thin layer covering the sheet. Place a thin layer of baking soda over the top of the Jello. Provide families with a cup of vinegar and eyedroppers. Using the eyedroppers, carefully drip vinegar onto the cookie sheet. The vinegar and the baking soda will bubble, and the Jello colors will come to life, mixing and swirling. Cut the edge off a small paper plate. Divide the remaining center circle into six equal sections using a ruler and pencil. Color each section a different color of the rainbow. With the color side up, stick a pushpin through the circle’s center into the eraser of a pencil. Place the pencil between your hands and spin! Fill a clear plastic cup three-quarters full with room-temperature water. Add two drops of food coloring and swirl until the water is all one color. Fill another clear plastic cup one-quarter full with bleach. Slowly pour the bleach into the water and then transfer the mixture back and forth from cup to cup. The color will slowly fade away. Note:A gentle warning was given at the beginning of the program asking parents to stay close to their children at this station. We gave participants a list of twelve colors. Using any device with a camera, families searched the library for items of those colors. When they finished, they returned to the program room to share their photos with staff. 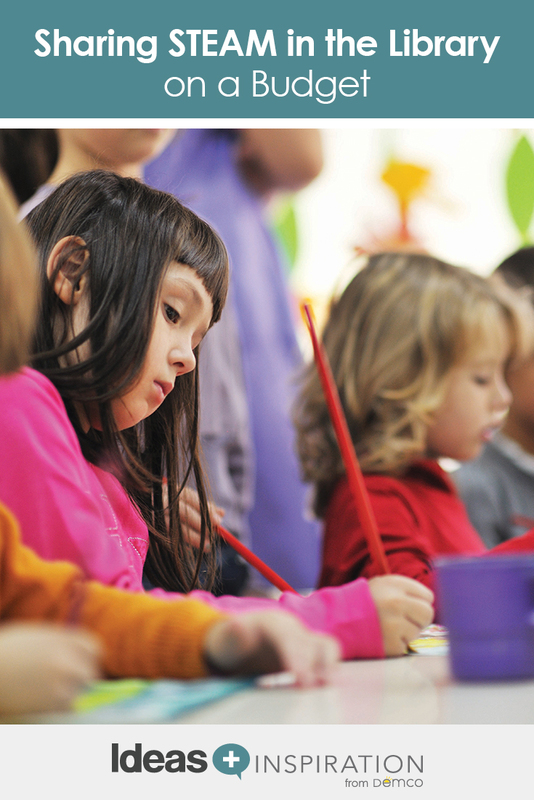 For older children, we encouraged them to find items of each color that started with the first letter of their name. If families didn’t have a device, they could use a library iPad. In addition to the programs listed above, we have also built towers from spaghetti, made sculptures from recycled cardboard, and learned about naval navigation while on a pirate treasure hunt. You too can avoid the trap of expensive STEAM programs with the materials in your supply closet and a few small purchases along the way. Terry has worked with families and children of all ages for the last 17 years. To see photos of Families with STEAM and other programs in action, visit the Lester Public Library’s Flickr page. Previous Make Your Library a Part of the Take Your Child to the Library Day™ Initiative! Next The Book Doctor Is In: Dirty Books in the Library!? This was also in the ALSC blog in 2012! Thanks for sharing another fun version of the Three Little Pigs activity by the great Amy Koester, Teresa! You can find more STEAM ideas at https://ideas.demco.com/?s=STEAM!